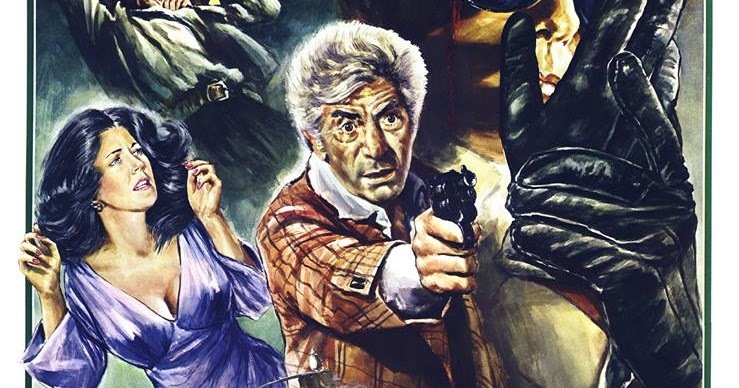 Review of Blue Underground's BluRay disc release of Bob Clark's Deathdream, which arrived in a new 2K restoration from the 35mm negative a few months back and is presented in its most complete version ever on home video, along with a bunch of new and original extras. This review is our second review of the film (click here to read Laydback's review) and first review of the BluRay on the GCDb. 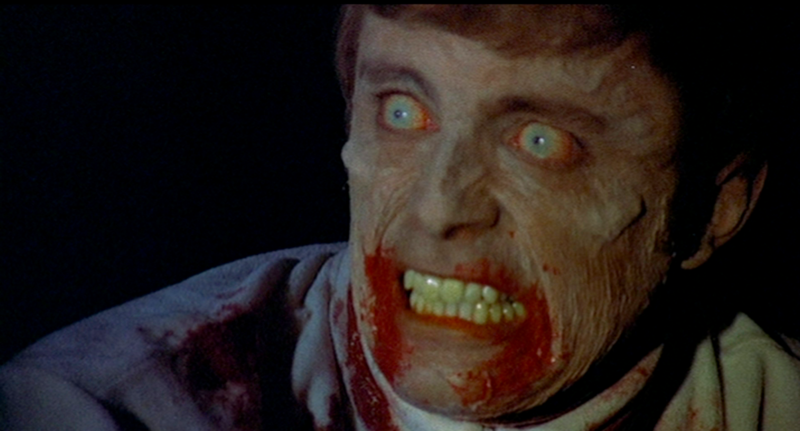 Bob Clark's slow-burning creeper was originally released as Dead of Night, including the print used by Blue Underground here. It also came with some alternative titles, one of them is The Night Andy Came Home, which, in all honesty, doesn't give away too much but it's a tad too obvious. It's not technically a zombie movie as such, and I wouldn't go as far as call it a horror movie, but there's a bit of both. The 90-Minute film moves slowly, almost too slowly, as it builds up and incredibly creepy atmosphere helped by a minimalist, eerie and uncomfortable score that becomes the most important stylistic device in the film. The father character carries the movie, as he's the person burdened by foreboding, worrying about his family, feeling in his guts what's wrong and not seeing a way out that might end positive for anyone involved. As the audience, we pity him. The mother is the naive character, and everyone else, is a side-show. The Sheriff and his folks hardly make much of an appearance by they're important as they provide a local backdrop to Andy's Vietnam history. The doctor could've been a main character but he vanishes soon. We're left basically with a father vs son setup, and the mother being the protective figure, a desperate move, trying to protect her son who is basically a ghoul-like undead, resurrected by her superstitions (presumably) and unhappy with his state of affairs, thirsting for blood to keep him from rotting away. 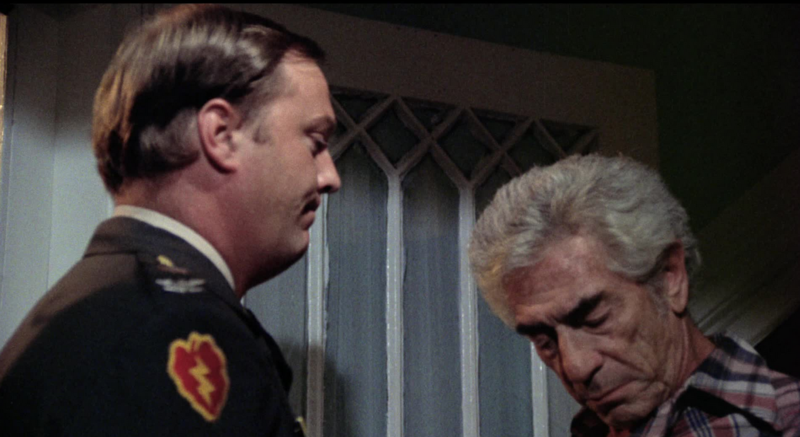 Andy, well-played by Backus, but essentially a very boring character, has outbursts of violence that help the movie along from horror to splatter, with some very effective but minor gore aspects, that marked "the grisly debut of gore effects legend Tom Savini", himself a Vietnam veteran, as Blue Underground states. It's not a very scary film by today's standards and also not all that violent. However, what makes the Deathdream special is its atmosphere and allegoric qualities. 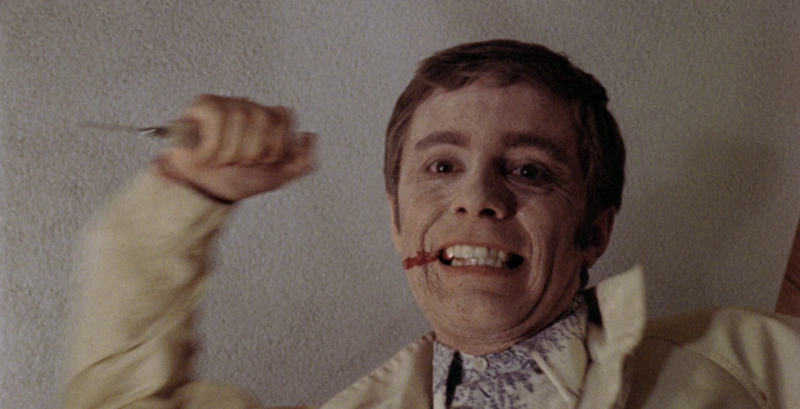 Being the creepy slow-burner, stopping short of gore and splatter, devoid of Night of the Living Dead's sociopolitical undertones, it keeps you on the edge of your seat by extending the discomfort bit by bit. Most noticeable in the creaky sounds of the rocking chair Andy sits in, but more importantly in how his presence tears at the seams of the family and slowly rips apart the quiet suburban peace and tranquility. The joy of having their son back gives way to a foreboding sense of terror and breakup that the father tries to drown in alcohol and even attempts to fight, while the mother slips into total denial. As Crawford points out in his essay (see below), this makes Deathdream a very capable depiction of the parents' generation's inability to deal with the homecoming generation and the horrors they have experienced. The transfer quality is so so. The print used for this restoration, widescreen (1.85:1) is in good shape, but there's some visible fading, dirt and lack of contrast. Digital noise reduction is on average Blue Underground levels. Overall, the print, struck from the 35mm negative, looks sharp, colorful for the most part and relatively detailed. Dark scenes, of which there are plenty, are a bit of a grainy gray-green mess with lots of flickering but it's probably as good as they could bring it back. It doesn't do much damage to enjoying the film. The audio track (English DTS-HD mono is the only one available) is a bit hissy as you might expect from a low budget movie of that age, but overall it is quite ok. No stereo or surround obviously. There's an optional set of subtitles in English, French and Spanish. This limited edition BluRay is region free and comes in a thicker Amaray that also holds the DVD version of the movie. 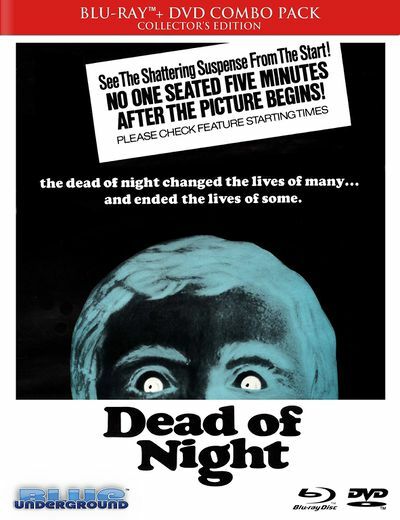 The reversible "Dead of Night" artwork is a nice touch. In terms of extras, there's all the nice stuff from the previous Blue Underground DVD release. This includes both of the audio commentaries. The first being with David Gregory from Blue Underground and director Bob Clark himself (it's fairly interesting, but not overly energetic. It is probably best enjoyed after looking into some of the extras), the other with David and writer Alan Ormbsy (I found this commentary track a bit more entertaining actually). Then there's the "Tom Savini: The Early Years" (10mins, for those not familiar with him, a must-see) and "Deathdreaming – Interview with Star Richard Backus: (12min). The essential extras of course, luckily they are included, they aren't always: the alternate "Deathdream" Opening Titles and the remastered Theatrical Trailer ("Dead of Night"). But this BluRay packs a bunch of new extras. These are a set of featurettes, the first is "A Recollection With Star Anya Liffey and Writer/Make-Up Artist Alan Ormsby" ( which clocking at 30min is the most in-depth and essential to get the background for the movie) which goes along nicely with the pretty gruesome Alan Ormsby Student Film (10mins) that is also included. Then there's "Notes For A Homecoming – Interview with Composer Carl Zitterer" (19min, the score is excellent, interesting to know this is not a household name) and "Flying Down To Brooksville – Interview with Production Manager John ‘Bud’ Cardos: (5min, who was interestingly also the production's pilot). Lastly there is an expanded Still Gallery with loads of interesting artwork, stills, posters and advertising materials and also a screen test with the original actor intended to play Andy, Gary Swanson (12min). There's also a collectible booklet with liner notes by film critic Travis Crawford, which I think rounds up the extras quite well but I wasn't blown away by the analysis. In particular, I don't think Clark ships around the fact that it's about the Vietnam War, I mean it's 1974, what other war would it be. He does a fine job tying this film into Clark's larger filmography though and is hence required reading. He did point out a few things that made me want to go back and rewatch the movie, in that sense it might fit somewhere in between the movie and its audio commentaries I would say. Overall, Deathdream is a fantastic little low budget "horror" movie that sits somewhere up there with Night of the Living Dead, The Texas Chainsaw Massacre and maybe even The Exorcist, but is just lesser known, lower profile and too subtle to be all that popular. It captures the dark mood of the domestic effects of the war without going all First Blood and it's got a nice love for detail, especially in terms of the excellent score. Take the opportunity this excellent BluRay has to offer and discover one of Bob Clark's finer works. Viewers should have their fun enjoying the performances and the eerie atmosphere of the film. The disc is chock full of great extras that will make you curious for more of the director's work, as well. Recommended! The BluRay was provided by Blue Underground for this review.